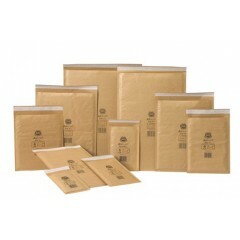 The full range of jiffy bubble / padded envelopes. The original Jiffy Airkraft brand. From A/000 to K/7, all at unbeatable trade prices! All measurements quoted are internal measurements. Available in both gold and white. Gold will be sent as standard unless otherwise specified on your order.